Both are neat little devices, that can offer useful data to your hardware applications. The DS18B20 comes with better temperature interval and resolution and with more features, but the DHT11 is cheaper and also provides humidity data. Which one is better? It depends on your application. Below see how to use them both, with two small size libraries to keep the program memory to a minimum. My previous article on the DS18B20, focused on getting only the positive temperature values out of this sensor’s Scratchpad. For a better approach the 12 bit data needs to be interpreted correctly, with the most significant bit as the sign bit. This leaves us with 11 bits for the integer temperature part , and 4 bits for the decimal. A few bitwise operations, and a little bit level surgery, gets the job done. The DS18B20 can do much more than this . See the complete datasheet, here. This Temperature & Humidity Sensor features a temperature & humidity sensor complex with a calibrated digital signal output. 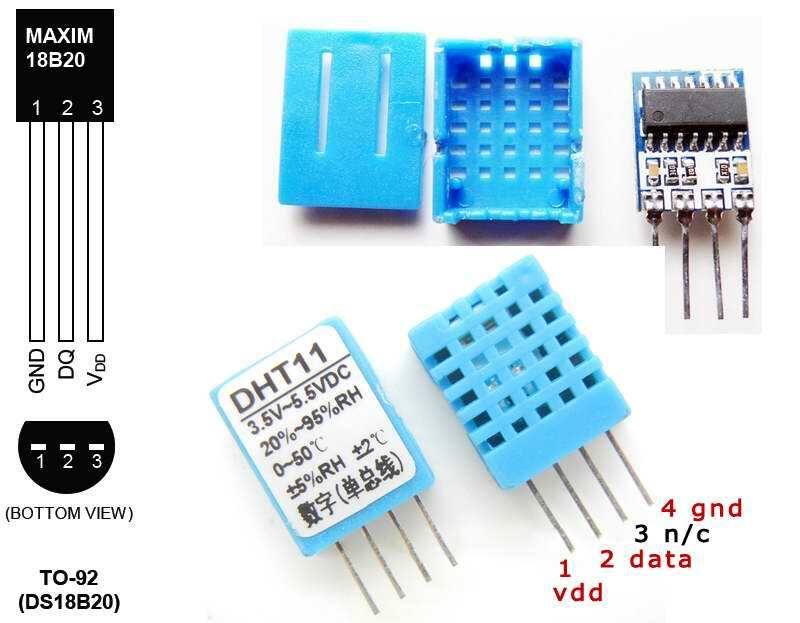 It includes a resistive-type humidity measurement component and an NTC temperature measurement component, and connects to a high-performance 8-bit microcontroller, offering excellent quality, fast response, anti-interference ability and cost-effectiveness. Datasheet here. This sensor returns sequences of 5bytes representing the humidity integer value, the temperature, and a checksum. To get the values correctly, precise timing at the 40uS scale is required. if (cnt == 0)   // next byte? 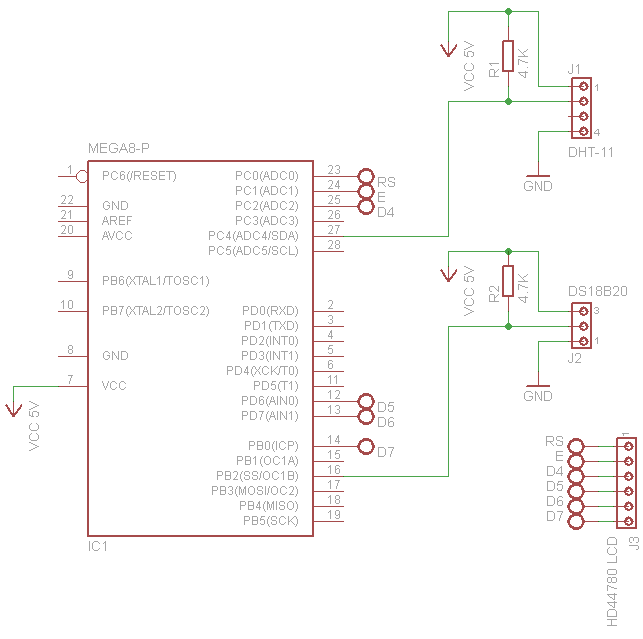 I have designed the code for an Atmega8 microcontroller. The code is available here. I’m using the DS18B20 with an Atmega8515, the sensor is placed on Pin 0 of port A. But when I try to change the port letter, it fails and gives me a lot of errors. I’m not using port c as input, but as output to drive the LCD. Nor i’m using port b or d.
What errors are you getting? Making this change should be trivial. thx for responding so fast! I’ve send you an e-mail with the errors I get. In AVR Studio, you need to change ATmega8 to your new target microcontroller. I did, but then I still have one error left, and it’s not easy to find because AVR doesn’t indicate the errors after I change the configuration options. Sent new e-mail, because I don’t want to post too much text. That looks strange, are there any other changes you did to the code ? No, the only thing I have changed was this. Should I mail you the complete project (zipped)? Which frequency oscilator I should choose? How I can use this frequency in internal oscilator? I have only 1,2,4 and 8MHz internal in Atmega8. Should I use the external oscilator? Any option is ok, but you’ll need to change the code (F_CPU) to the frequency you are using. 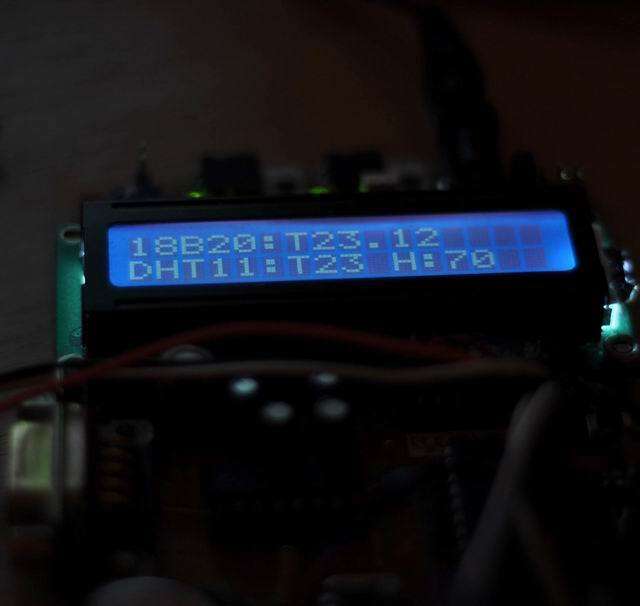 Does this project work with DHT-22? Hi, I want to ask for this project is use what value for crystal? 16MHz?? or 8MHz? the LCD is 1602??? atmega8 IC = ATMEGA8-16PU ? ?Because im beginner for micro controller. Thanks. I want to ask also if i want to do the DHT22 and DS18B20 with atmega8 using this source code is ok?? just replace the DHT11 to DHT22? Thanks. 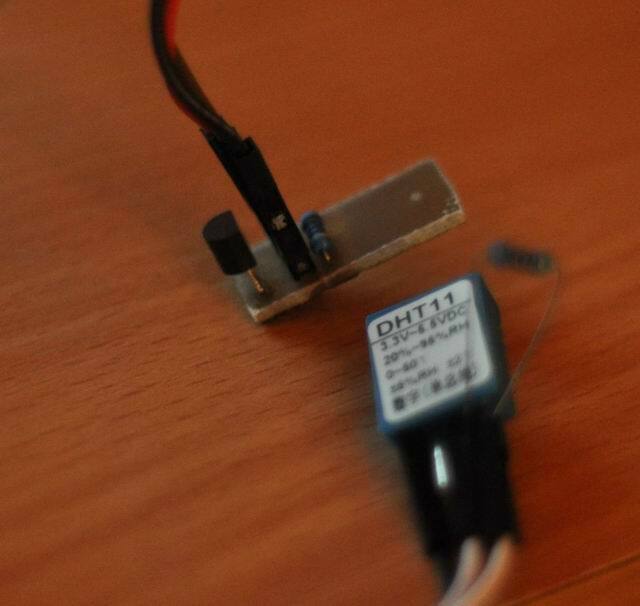 Hi I have a problem with the dht11 sensor. I have connected all things together despite the ds18b20. The dht11 shows T:0 and H:0!! I think that probably the sensor could be damaged?? How do you think. Thanks in advance. I have a one Question..